In part one and part two of this series on choosing an expedition to Antarctica we discussed the option of either flying or sailing to Antarctica and how to choose the best ship for your needs if you indeed decide to sail. 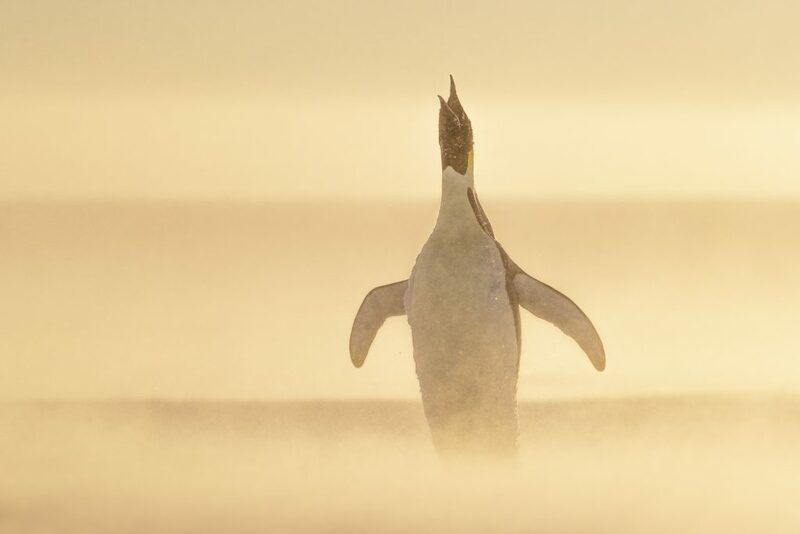 We also looked at the importance of selecting a truly dedicated photographic expedition (avoiding mixed expeditions at all cost) and the prudence of ensuring the expedition you chose has an expedition leader who understands the needs of photographers and a photography guide who has extensive experience in Antarctica. In the third part of this series we are going to look at what time of year you should choose to travel to Antarctica. The Antarctic travel season begins in November and runs through until early / mid March. The short summer season runs a little over four months and there are some very significant differences between travelling early in the season and late in the season. Depending on your needs and expectations for photography you should be aware of these differences in both the landscape and wildlife at different times of the season (particularly at the beginning and tail ends of the season). I have been fortunate to travel to Antarctica in every month of the short summer season at some point in the last few years and have found through experience the best times for specific given subjects. Irrespective of when you choose to travel to Antarctica, you are going to require the same level of cold and wet weather clothing as well as the same sort of camera equipment (we are going to look at camera equipment in the next and final installment in this series). Cutting right to the chase, in my experience, early November is the best time to travel to Antarctica for photography (unless you specifically want to photograph Penguin chicks). At this time of the season the snow and ice are still clean and pristine in Antarctica and the best photographic opportunities are usually to be found. The importance of clean snow and ice should not be underrated as it provides a platform for framing your photographs and makes it far easier to obtain clean and pristine backgrounds for your images. By comparison, late in the season (anytime after Christmas) much of the snow and ice is gone from many of the landing sites and any covering that may remain is muddy, dirty and covered in Penguin guano. The weather in November is still highly variable in Antarctica and at this time of the year you can expect everything from clear blue sky days to overcast skies with the occasional blizzard and snow storm. This variability is absolutely ideal for photography as it is going to provide you with lots of different opportunities to create a varied and powerful portfolio. Although I personally detest blue sky days for photography, one or two of these are usually inevitable during an expedition and they do help to break up the overcast weather generally found in Antarctica at this time of the year. As the season progresses, the weather stabilises and you can expect more clear blue sky days and far less snow and ice. It is important to understand that overcast weather (Nature’s softbox) is preferred for photography in Antarctica as it ensures both soft light and a more controllable dynamic range. Bright sunlight tends to bleach icebergs pure white and creates super hot highlights on the ice and snow that make polar photography problematic. 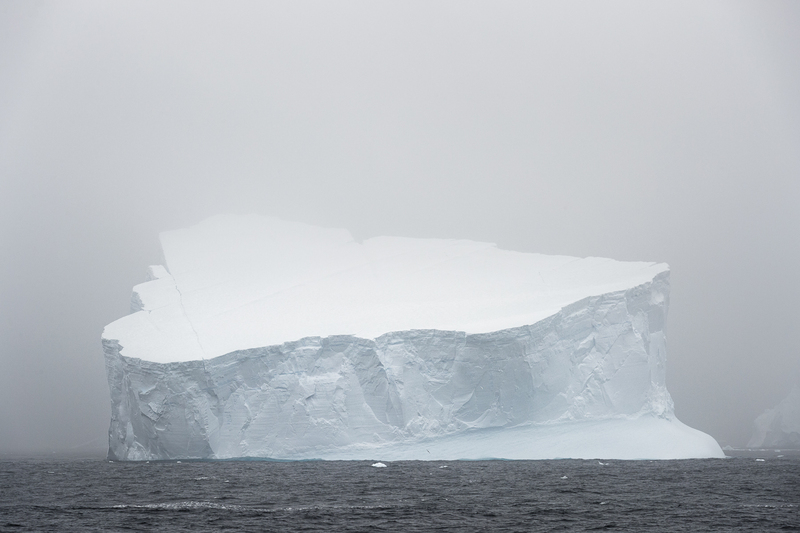 Ideal conditions for photography in Antarctica are almost always overcast skies with soft light with good cloud detail. You can expect to encounter these conditions in November more often than during any other month. Overcast light also has the added benefit of dramatically enhancing the aquamarines and blues that are found in Antarctica’s icebergs. For photography, this is absolutely ideal. 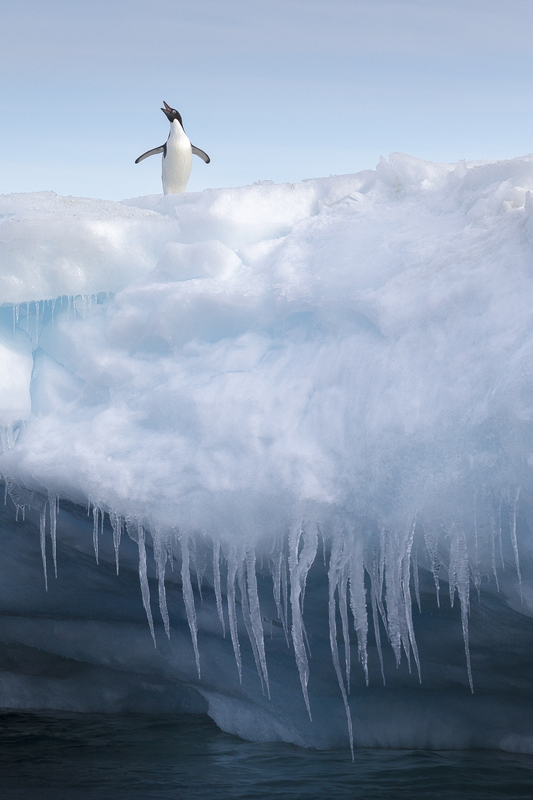 November is without doubt also the best time for iceberg photography in Antarctica. With a greater chance of overcast skies and far more ice in the water, the chances for encountering spectacular icebergs are at their best in November. On a standard Antarctic Peninsular expedition in November you can expect to see and photograph large tabular icebergs coming up out of the Weddell Sea around Antarctic Sound as well as a great many other varied icebergs around the Peninsula itself. Later in the season icebergs can be harder to find and there is typically far less ice in the water than November. If the primary goal of your photographic expedition to Antarctica is to see and photographic Penguin chicks then you should choose an expedition later in the season (Penguins on eggs can be seen as early as November with regularity). 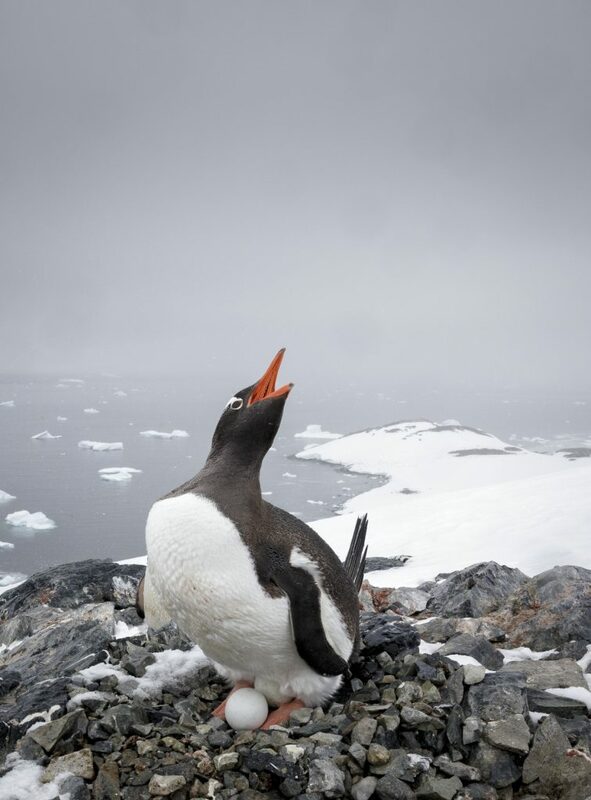 Generally speaking, an expedition in late January or February will be ideal for newborn Gentoo, Adelie and Chinstrap chicks. Be aware however, that by late January there will be very little (if any snow) at the penguin colonies and as a result it is far more difficult to get clean backgrounds for your photographs. If the goal of your expedition is Emperor Penguin chicks then November is the ideal time. 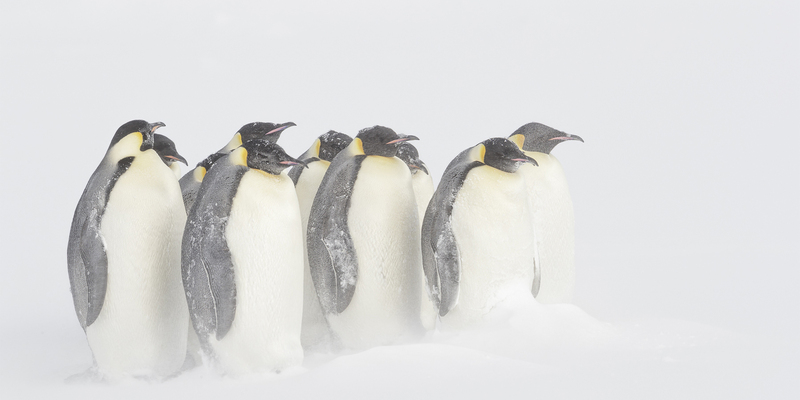 For Emperor Penguin chicks you will need to choose a fly to Antarctica expedition and fly to Union Glacier. In terms of other bird life you can expect a similar spread of Antarctic birds including Snow Petrels, Snowy Sheathbills, Albatross, Kelp Gulls, Giant Petrels, Prions, Diving Petrels, Wilsons and Storm Petrels, Antarctic Terns, Skuas and more irrespective of which month you decide to travel to Antarctica. Skua activity at the Penguin colonies is at its height from November onward and as soon as the Penguins have started to lay eggs. Although January and February are generally regarded as the best months for Whales in Antarctica I have actually historically had far more success in November with whales as they migrate down to Antarctica. Irrespective, whale photography is very hit and miss in terms of both sightings and significant photo opportunities so I would not base a decision on which month to travel to Antarctica if whales are one of your primary goals. You are just as likely to encounter a large pod of whales in November as you are any later in the season. The key to whale photography in Antarctica is to actually spend as much time as possible up on deck of the ship with binoculars and to always have a camera with you. Whale sighting are often brief and you may only get a few seconds to grab the photograph before the whale is gone. When it comes to wind, you should be aware that Antarctica is one of the windiest (and driest) places on the planet. From gentle breezes to near hurricane force katabatic winds that come down from glacier fronts, you will likely experience the full gamut of wind at some point during your time in Antarctica. 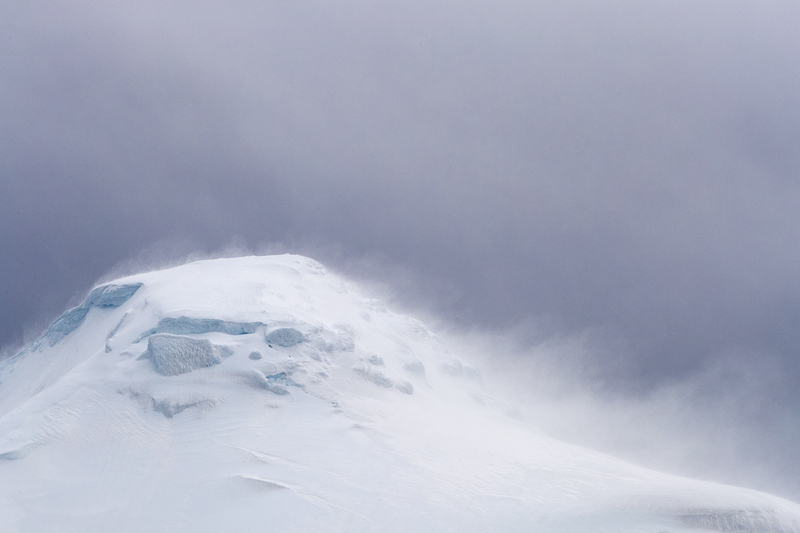 You can expect a wider variation in wind speed during expeditions early in the season but you should keep in mind that blowing snow adds significant drama to a photograph and will greatly assist you in the creation of powerful emotive imagery. The success of any photographic expedition to Antarctica depends greatly on the choices you make when choosing your expedition. The timing of your expedition is absolutely critical to the opportunities you will encounter along with the weather and light you will experience and ultimately the portfolio of photographs you will produce. Consider carefully the time you choose to travel to Antarctica. Although it might be tempting to jump on board with a last minute bargain for a late season trip you should bear in mind that these reduced rates are only offered because many photographers recognise it’s not the best time of the season to travel to Antarctica. Choosing an expedition in November (or even early December) is likely to net you far better opportunities to create a strong and powerful portfolio of images. In the final part of this four part series, we are going to cover photographic equipment as well as some ancillary equipment and accessories that are going to ensure you have the best possible photographic experience during your time in Antarctica. Joshua Holko is a full time professional Nature photographer who specializes in polar photography. Joshua is a fully accredited AIPP Master of Photography and member of the Australian Institute of Professional Photographers (AIPP). 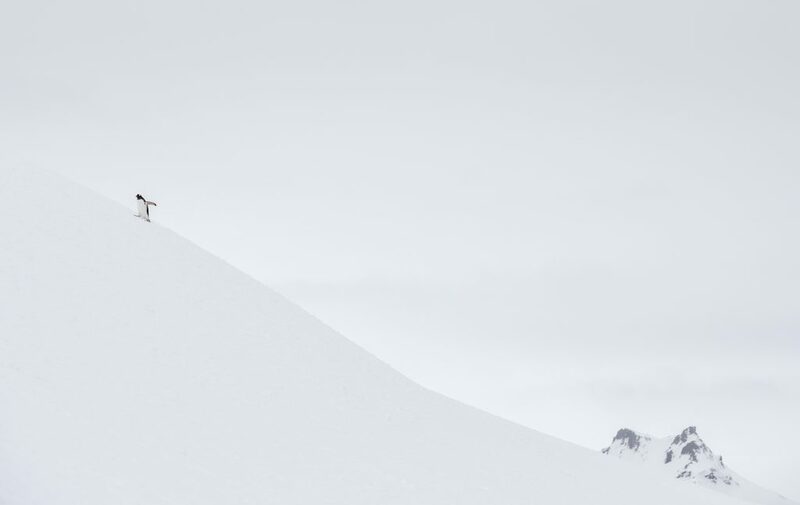 He has won countless awards for his photography including being named the 2015 Global Arctic photographer of the Year. Joshua is officially represented by Philip Kulpa and the Source Photographica Gallery in Australia and Aspen USA. Words and images ©2017 Joshua Holko. All rights reserved. These articles are fantastic! Thanks to Mr. Holko and the folks at RRS for making them available.